Our members know that Wales offers an unrivalled combination of scenery, a variety of different road types, and challenging off-road sites, all in relatively close proximity. Although we sometimes get to sample UK versions of the latest models in Wales, such as with the Hyundai Kona and Ford Fiesta in November 2017, it is sometimes surprising (to us) that more media launches of new cars don’t take place on this side of the border. But for Caroline Burnell, senior press officer for Mercedes-Benz Vans, Wales seemed to be the ideal location for the UK media launch of the new X-Class pick-up truck, late in 2017. According to McLaren Automotive’s CEO Mike Fluett, “Super Series is the core of the McLaren business”. So, when the company ushers in a new generation - only the second since 2010 and a meteoric rise as road-car manufacturer - it’s an event. The McLaren 720S comes in three variants: entry model at £208,020; Performance and Luxury specs from £218,020. “It is absolutely true to McLaren’s pioneering spirit . . . a revolutionary leap forwards, both for our brand and the supercar segment” adds Fluett. Founded by New Zealand champion racing driver Bruce McLaren (1937-1970) the company’s products are evolved from the racing cars. Previous headline vehicles included the F1 (1992-1998) and Mercedes-Benz SLR (2003-2009). How far will a car realistically go on a full tank of fuel? Most car owners will know it isn’t as far as manufacturers lead to you believe in their advertising. Some car manufacturers – in the wake of 2015’s ‘dieselgate’ scandal, and pre-empting the introduction of a revised testing process for vehicles – have already begun to publish their own ‘real world’ fuel consumption figures to help manage customer expectations. ​Some consumer automotive publications have introduced their own alternatives to official figures, with one, HonestJohn.co.uk, giving owners the chance to input their own fuel economy to database that then returns an average for individual models. ​Passing Junction 10 of the M40, heading towards Birmingham late on a Monday morning, a Ferrari 360, barrelling down the outside lane took a nano-second to fill my rear-view mirror. Fast it might be, and head-turning it might be, but with 50 miles behind me and another 400 to go, I was grateful to be at the wheel of a Vauxhall Astra diesel. Having covered just shy of 1,000 miles in two days (and further 1,000 over the next three says), it was apparent just how good the Astra is: since the original model made its debut back in 1979, it has matured into a fantastically capable, good-looking and affordable car. It's always fascinating seeing highly skilled and specialised craftspeople working in modern production. 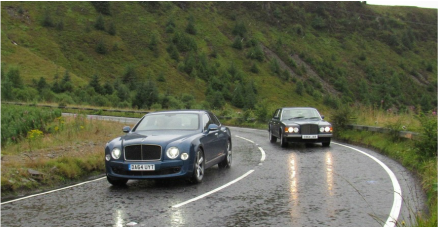 This is why visiting Bentley's factory in Crewe is always an education. ​A demonstration of how ancient techniques have not lost their place among ultra-modern technology in the production of some of the world's finest luxury cars. 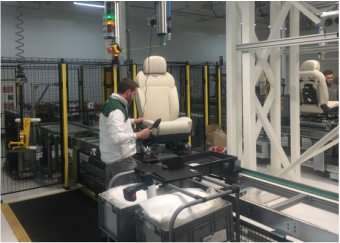 This month the factory will begin production of the new Bentayga SUV. Bentley will be the first super-luxury automotive brand to launch a 4x4, and the model is expected to increase the company's sales worldwide by 50 per cent over the next few years. The Mille Miglia is one of the world’s classic road races. 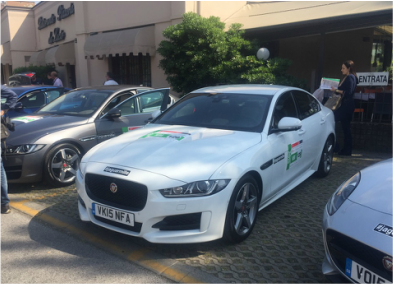 Travelling 1,000 miles around Italy over four days, we thought this would be an ideal opportunity to check out some of the fuel economy credentials of the new Jaguar XE. Could we follow the race on one tank of diesel? Well, we like a challenge . . .